I should stress I have not read all of these works and would probably argue against some of them. But I now open the floor for comments. obsession but it rapidly becomes clear that it is overwhelmingly about illness. Our nameless narrator has returned to this country from business overseas and is involved with this brewing civil emergency but it is not clear what this is or what his role in it is. Government? Military? He is somehow an insider yet he seems to fear the police. It is a defining feature of the novel that the narrator is both victim and agent of authority. It is impossible not to reach into Kavan’s own life when faced with this. The short biography in my edition notes that “she was, at best, evasive about the facts of her life” but the facts we do know are telling. Born Helen Wood at the turn of the last century, Kavan was a pseudonym she adopted from one of her own characters following a nervous breakdown. She became addicted to heroin in her twenties following a painful illness and struggled with the drug for the next forty years. The failure of psychiatry and pharmacology is written clearly in this novel. There are also points were the narrator seems to know the girl from the inside, the first person narration appearing to give way to the third person and the author and the girl merge. Given this, we can wonder about the fact that Kavan repeatedly tells us that the girl was a victim during childhood, was brutalised and haunted by the experience of her youth. The first chapter gives us the intrusion of the dream-like into what we initially perceive to be our world with the encroaching ice acting as a metaphor. But it becomes rapidly more real, plunging us into a Ballardian disaster novel in which entropy inexorably claims the Earth. From the second chapter, it also becomes clear that the world itself is uncertain; it shifts – or should that be slips since this is quintessential slipstream – entirely into the realm of dreams. As one mysterious character puts it later, “the hallucination of space-time, and the joining of past and future so that either could be the present, and all ages.” (p. 123) Within this context, the landscape is reconfigured, repeatedly; shrinking the world and crushing the actors. The loose triumvirate of narrator, girl and husband remains, although changed, but there are hints that it is not a triumvirate at all. This split personality is explicitly suggested by a police officer when the narrator is arrested in one of the small towns he visits as he moves towards the girl and away from the ice: “I wish to state that the witness is a psychopath, probably schizoid.” (p.77) At one point he finds (or dreams he finds) the girl after having been brutally beaten: “I felt I had been defrauded: I alone should have done the breaking with tender love; I was the only person entitled to inflict wounds.” (p. 54) His obsession is a sickness. My copy of the novel is the 2006 Peter Owen edition with an introduction from Christopher Priest. I think you can see a lot of Ice in Priest’s most recent novel, The Islanders – the unreliable narrator, the twisted travelogue, the undercurrent of obsession – and John Self makes a similar point with respect to The Affirmation. In his introduction, Priest says: “To work as allegory there has to be an exactness that the reader can grasp. In Ice the symbols are elusive, mysterious, captivating. 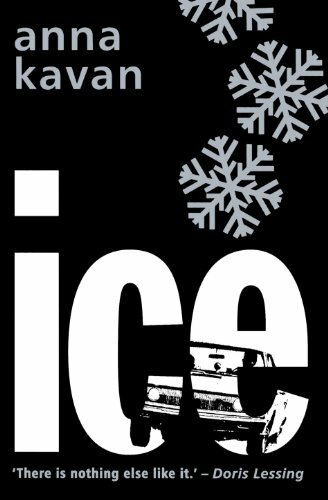 It ends as it begins, with nothing that is practical or concluded.” If it is not an allegory, perhaps Ice is simply a wound; a raw insight into Kavan’s illness. The vagueness of the term allows logical and heuristic slippage. Is slipstream an sf subgenre or a new genre outside sf? Is it genre fiction or literary fiction? Is slipstream sf part of mainstream literature or is mainstream literature being parasitical on sf? Is it a type of writing or a sensibility? Is it a genre or a marketing strategy? Such slippages allow a widening of the materials to be included in critical discourse around sf, fantasy and utopian fiction, and obliterated the high/low culture divide of mainstream/genre fiction. Little did I realise then, or I might not have felt so energetic, the hardships I was to encounter here in this strange, elusive never-never land. Success! I should have started with the first bloody story! This is what I pointed at when I point at slipstream. Al crashlands in a valley which is a true liminal space, the first we have seen in this collection. His short, pithy paragraphs (as quoted above) are counterpointed by a much more open, winding narrative from one of the natives. But these are not the sort of lost valley natives you would expected from, say, one of Chabon’s pulps. There is a nice low key interplay between the two which becomes deeper and richer and odder as the story progresses. The inclusion of ‘Al’ does raise some questions about Kessel and Kelly’s selection criteria though.They exclude quintessential slipstream writers such as Donald Barthelme on the dubious grounds that they are no longer active (ie dead.) Yet Emshwiller’s story is from 1972, considerably pre-dating Sterling’s coining of the word slipstream, and she was born before Barthelme. Since both writers are clearly working in the same tradition – as are SF contemporaries of Emshwiller such as Damon Knight and Barry Malzberg, according to their introduction – it seems perverse to include one and exclude the others.